My children and I enjoy doing crafts, as we find it relaxing. We find the process of doing the crafts exciting. Completing our project and seeing the final product brings lots of happiness. This month is full of fun occasions, so my children and I made a few handmade gifts that we can give to our loved ones. 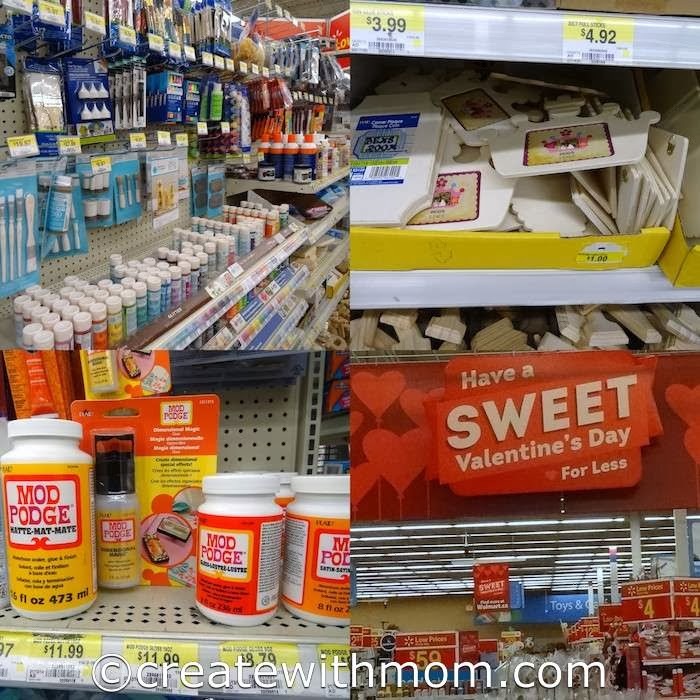 I think getting a handmade gift that is done with love is always appreciated, so my children and I went to Walmart to purchase a few Plaid products that we used to make these Valentine crafts. This craft is simple and easy for little ones to do. My son enjoyed using the spouncer to paint and found it easier to apply an even coat on to the wooden picture frame. We also painted ready made wooden hearts and wrote personal messages that we can attach to gifts. Paint the pre-cut wooden heart shapes with the acrylic craft paint and let it dry completely. Then using a calligraphy pen or permanent marker write a message and attach this heart to a gift. We placed stickers that we like inside the bottle cap and filled the cap with Dimensional Magic Mod Podge and left it to dry. We attached a magnet to the back of the bottle cap and used as a fridge magnet. "You will not enter paradise until you believe, and you will not believe until you love one another. Let me guide you to something in the doing of which you will love one another. Give a greeting to everyone among you." The wooden hearts look great! They'd make a great gift alone or as a decoration on something, like a card. Thanks for sharing these ideas! Lovely! I love the picture frame! I wish my kids had an interest in crafting. The Fridge Magnets are my fave. Love the hadith that you quoted. DIY gifts are always a pleasure to receive. I wish I was more crafty to make them more often. I just bought some mod podge, to get all crafty with. This is a great DIY idea. Love handcraft gifts, I use to do crafting but have not done any for a few years now. Love the fridge magnets! My grandkids and I have a blast doing crafts! Great ideas! I love the fridge magnets! Great idea! I have seen the Tin Soda bottle caps and love them. I didn't realize there were supplies available to make them until I saw this post. I love how yours turned out. Aww, I really like the bottle top magnet. My DD likes the crown frame the best though. Great crafts! They look like a lot of fun for the kids to create. I love doing crafts and especially Mod Podge projects. Thanks for the cute idea with the frame. It is something I could do with my grandchildren, as they love crafts too. My biggest project with Mod Podge was a patio table. I took an old table cube table and completely covered it with a collage of fruits and vegetables pics I cut out from magazines. It took a long time but was so fun to make. What a great idea. I agree that homemade crafts are extra special. WOW !! they are so cute ! !